Food is my passion. My dream was to become a MasterChef, but, despite my one-time appearance on the UK television programme of the same name, I am not. My passion for food (combined with a politics degree) led me down an unexpected career path. 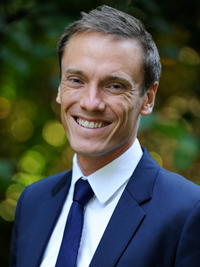 I have spent 15 years working in public sector, primarily in animal health and welfare in various positions at national, international and multilateral level. About a year ago, I accepted a Brussels-based position in the world of pesticides and plant protection at the European Crop Protection Association. For many years, if you had asked my now eight-year-old daughter what I did for a living, she would have said “Daddy saves seals.” That’s because in 2010 while I was working at the UK Permanent Representation to the EU on behalf of the UK government, we achieved a seal fur import ban. My daughter still has one of the toy seals that were given to Members of the European Parliament at the time. In that moment, the simple logic of an eight-year-old perfectly encapsulated the challenge we face as society, the simple logic that many of the difficult discussions on the future of food and agriculture overlook: saving food. If only it were that simple. Protect crops, provide food, feed people. Recent discussions on the re-approval of glyphosate – one of the safest and most widely used products on the market and vital for farmers around the world – have seen politics undermine what should be a science-based approval process. Glyphosate is now made by many companies and is used domestically as well as by industry. 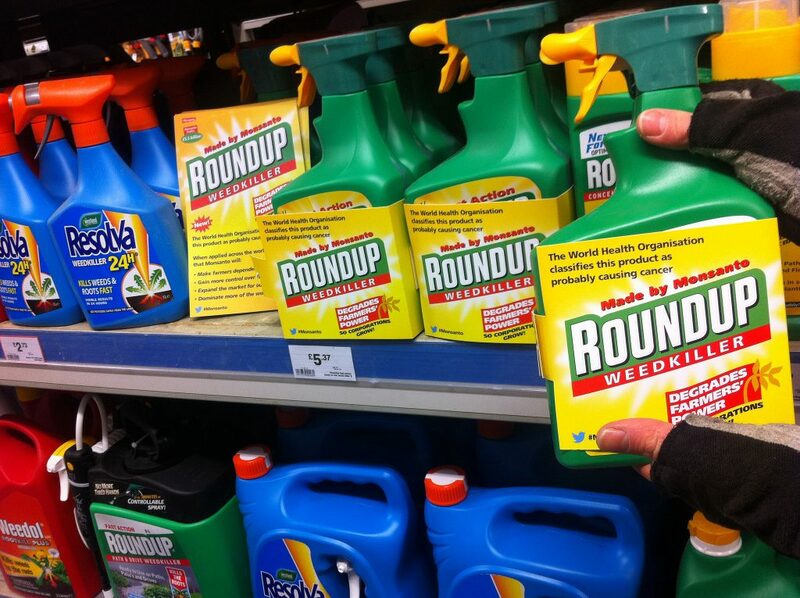 Original makers Monsanto have received much criticism like the above cheeky guerrilla rebranding. In fact, 90,000 pages of evidence, 3,300 peer-reviewed studies, the opinions of the European Food Safety Authority (EFSA) and of the World Health Organisation (WHO), and a European Parliament resolution, not to mention regulatory authorities around the world, all support re-approval. Failure to re-approve glyphosate, and delays in approving other products farmers need to protect their crops, will have a significant negative impact on the competitiveness of European agriculture, the environment, and most importantly, Europe’s capacity to produce safe and affordable food. Yet one opinion, that of the International Agency for Research on Cancer (IARC) – miscommunicated and misrepresented – managed to undermine that. Since then, the European Chemicals Agency declared that it did not classify glyphosate as a carcinogen. This considerable challenge is only complicated by the increasing disconnect with the realities of agriculture today. 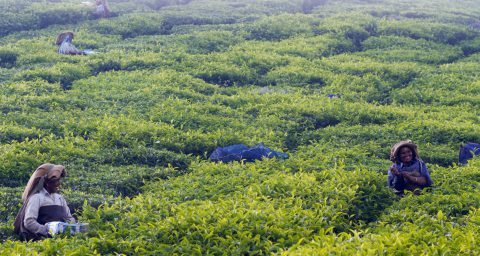 The reality is that even with pesticides, between 26 and 40% of the world’s potential crop production is lost each year. Without crop protection that number could rise to 80% according to the Food and Agriculture Organisation (page 75). 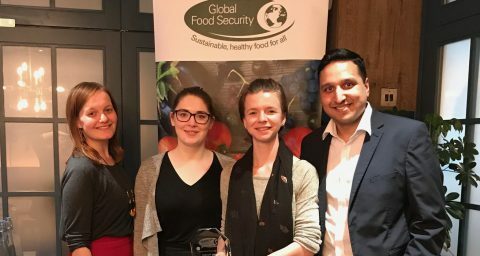 Decisions about the future of agriculture made in Brussels – and in capitals around the world – affect what we eat, how much food costs, and the impact food production has on the environment for this generation, and for generations to come. During the final editing of this article, the European Chemicals Agency declared that it did not classify glyphosate as a carcinogen. It’s unlikely to be the last word on the topic. 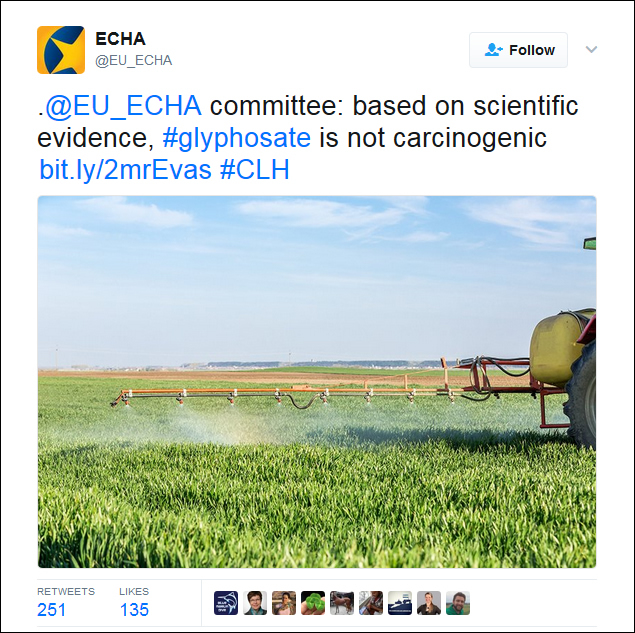 During the final editing of this article, the European Chemicals Agency declared that it did not classify glyphosate as a carcinogen. My daughter doesn’t know about the principle of supply and demand. She doesn’t yet understand the concept of integrated, sustainable farming. Nor does she comprehend why a regulatory framework should embody those principles. But if we don’t give our farmers access to the tools they need to put food on our plates, it’s her future and that of her friends and peers and global cohort that will be most affected. Let’s not let future generations suffer because policymakers are putting off the difficult discussions today. Graeme Taylor loves everything about food: buying it, preparing it, eating it, and debating just how we are going to make sure the world has enough of it. He lives in the UK and works in Belgium at the European Crop Protection Association. Thank you for your article. Having been involved with pesticide research and education for the better part of my life, including conducting studies with glyphosate, I too believe that they are vital for our crop protection needs. However, what is lacking is in the effort to address the knowledge gaps in regions where pesticide use is increasing, e.g. Africa. Addressing these gaps is vital if pesticide use can be sustained, crops adequately protected, and human and environmental health safeguarded.